Boris Smile, not to be confused with Japanese band Boris and their 2008 album "Smile", are one of those bands that are hard not to like, simply because they love music. They're clearly not in it for the fame or the money; they just want to make music. 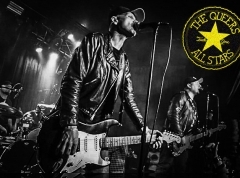 Check their Myspace for one hell of band members/contributors list - "it[']s all about building a community", they write. With that attitude, you'll feel yourself warming up to them before you start listening. When you do start listening to them, that affection might just develop into something stronger. Why? They're just so... charmingly quirky. Just as their "Beartooth EP" was centred around bears, the "Rockets EP" is about, well, rockets and all things space. 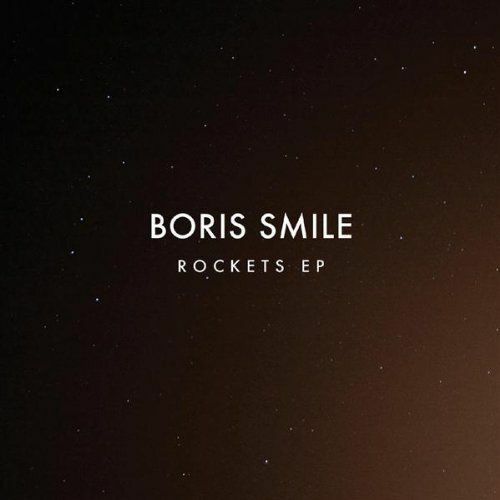 A lesser band might attempt such a thing with thin results, but Boris Smile, and their contributors, are clearly talented, so you'll end up succumbing to their unique perspective. Vocalist A. Wesley Chung delivers playful lyrics with melodic vocals, not too dissimilar to the way the guy from Everyone Everywhere does. The first words out of his mouth are "Let's blast off into space / where you and I can find a hiding place / we'll pass by the sun / and I will dare you to stare at it for fun". He also goes on to sing about being an astronaut who has to say goodbye to his family before his next space mission ("Apollo"), and questionning whether or not aliens exist ("Are We Alone"). Again, through (actual) emo-esque vocals, but, with the contrast of the backdrop, which at times feels like an orchestral arrangement at times underneath the ever-present acoustic guitar; they use instruments such as the cello, violin, harmonica, trumpets, and I think in "Satelites" they may have even dabbled in the use of a xylophone. Boris Smile are leaving this reviewer with a headache trying to conjur up names for the "For The Fans Of" section, which must be taken as a credit to their creativty (as opposed to my poor music knowledge). 12 minute experimental closer "8.24.06 (The Humbling Of A Planet)" brings the overall grade down slightly (you don't need to use auto-tune/vocoder), but it doesn't take anything away from the goodness of what preceded it.